The high degree of chemical purity of the agate (99.91% SiO~) means that no impurities enter the sample during grinding. A further advantage is the exceptional abrasive resistance of this natural gem. All mortars have a symmetrical octagonal shape and are exacting in design and workmanship and come with a suitable pestle. Agate has exceptional abrasive resistance, high degree of chemical purity; no impurities enter sample during grinding. Symmetrical octagonal shape. Comes with a suitable pestle. Also available in ceramic, cast iron, and vase style. Barnstead. 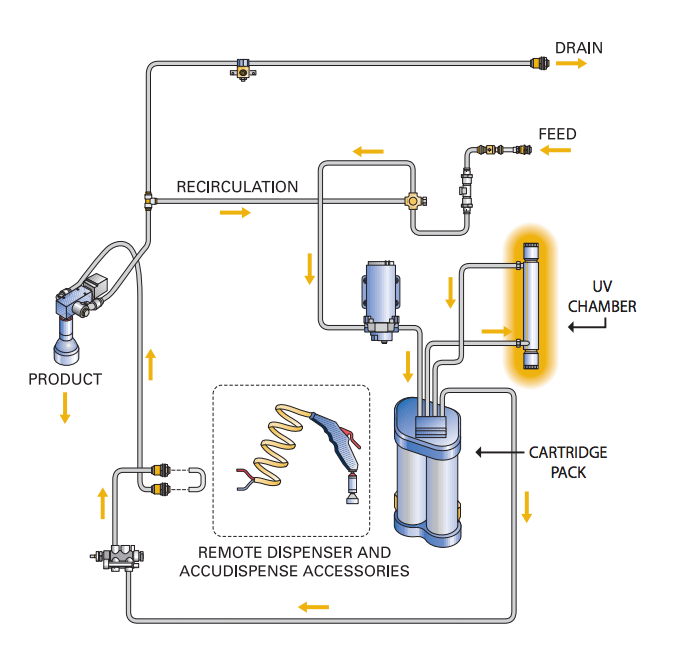 Deionization purification involves removal of ions and minerals from feed water by means of synthetic ion-exchange resins, which have an affinity for dissolved ionized salts. The NANOpure system uses four resin cartridges in a space saving four cartridge configuration. Quarter turn quick release canisters make cartridge removal and replacement easy. Different cartridges are available to produce differing water qualities. The dispenser has a double tube umbilical coil for water recirculation back through NANOpure. Dispenses stream, spray or drop by drop. All materials contacting water are polypropylene or other inert material to prevent recontamination. A micro-processor control indicates resistivity, temperature, and alarm set point; alarm alerts user when purity falls below the selected set point. 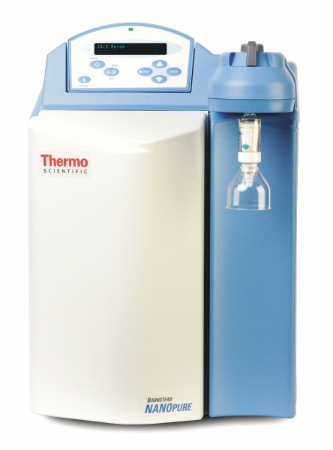 Capacity of+15 liters/day of analytical grade water for critical applications such as HPLC, AA and trace metals analysis. Inlet water temp. 40°- 120°F. Size: 20″ x 14″ x 28″H.